Mark has been in the HVAC industry for 15+ years and holds a Trade Certificate as a Refrigeration & Air Conditioning Mechanic. He studied various HVAC courses at Fanshawe College and his apprenticeship was completed at Mohawk College. In 2000 Mark started working with Change’Air Products & Services as a Service Technician and in 2005 took the position of Service Manager. At this time Mark also took over the roll as Electrical Designer and served in dual roles until late 2008 when he took on the responsibility in Managing the Engineering / R&D Department. In 2012, Change’Air was purchased by Systemair Inc, in which Mark retained the role of Manager of Engineering. 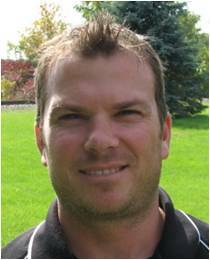 Mark’s interests include various sports and activities and he is actively involved with the Simcoe Youth District Soccer Club as both a Coach and member of the Board. A member of ASHRAE since 2011, Mark has been a member of the Hamilton Chapter Board for the last 3 years serving as the Student Activities Chair.